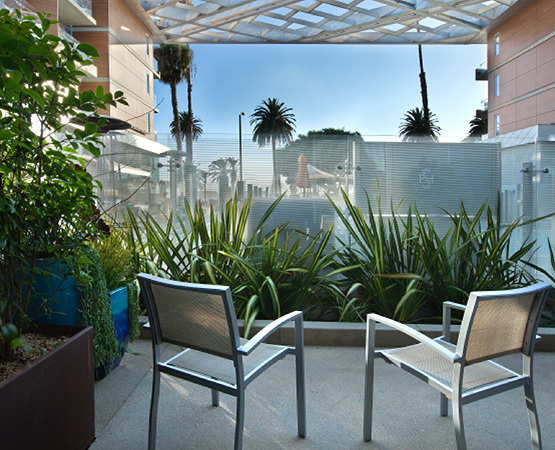 Our unique eco-conscious accommodations feature sustainably sourced décor, state-of-the-art amenities, and private patios or balconies – all within walking distance of downtown Santa Monica. 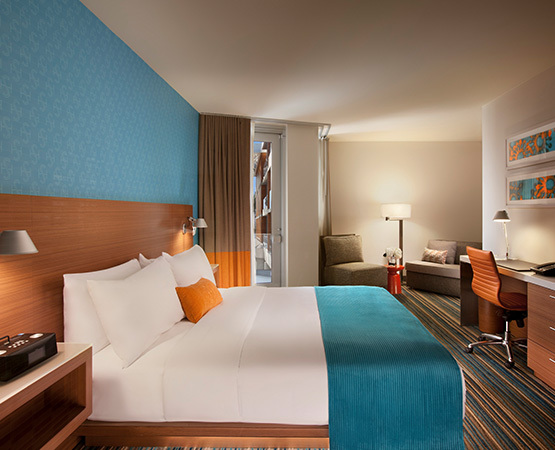 Designed to conserve energy all on their own, our guest rooms have high-tech lighting and temperature controls that adjust automatically as you enter and exit your room. These stunning king rooms feature a separate living room divided by a sleek half wall, a shower/tub combination, two HDTVs, and two private balconies with expansive south-facing views of the Pacific Coast. The Shore Hotel aims to make your stay as comfortable as possible, striving to continually accommodate our hotel as accessible as possible to meet your needs. Boasting two private balconies, two HDTVs, a combination shower/tub and a separate living room divided by a half wall, these king rooms provide sweeping views of the Santa Monica cityscape and partial views of the Pacific Ocean. 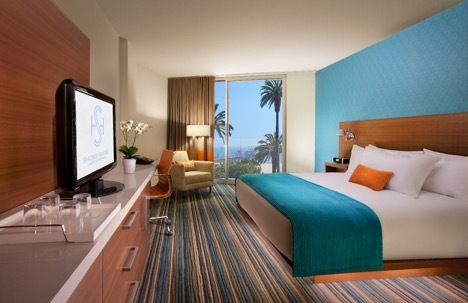 The bright and airy King rooms overlook iconic Ocean Ave while the Premier Ocean with 2 queen bed. 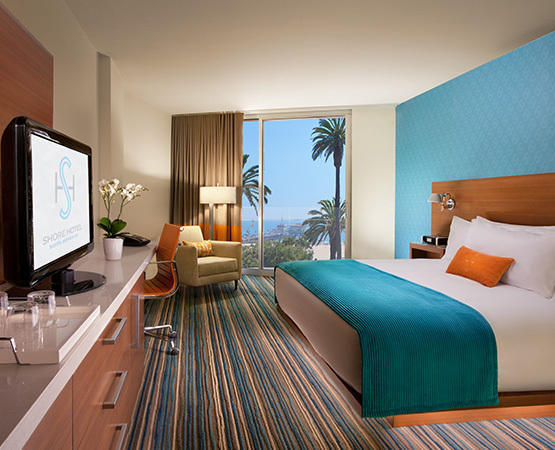 These rooms delight guests with (180 degree or sweeping) west facing ocean views of sunny Santa Monica Beach. Boasting the largest balconies in the entire hotel, these premier rooms are perfect for celebrating special occasions. 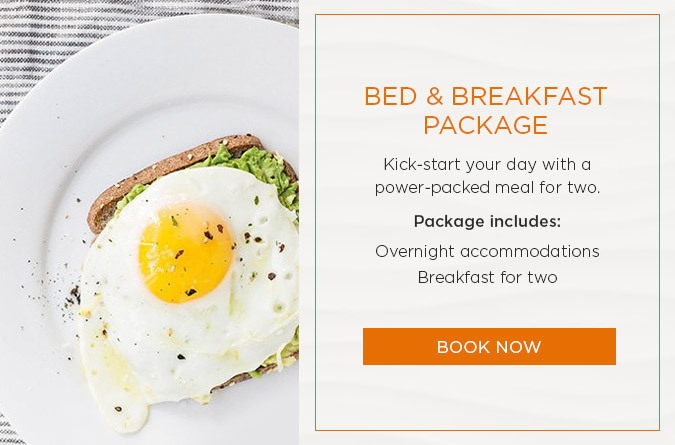 Located in the West Building, these ocean view rooms boast modern amenities, contemporary décor, a balcony, and north or south facing views of the lively pool area and scenic Pacific Coast. 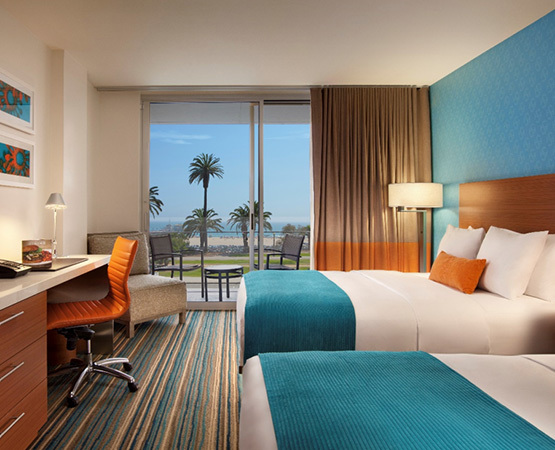 Perfect for families traveling to Santa Monica together, these oversized king junior rooms include a sitting area with sleeper sofa, cozy amenities, and intimate balconies with partial ocean views. 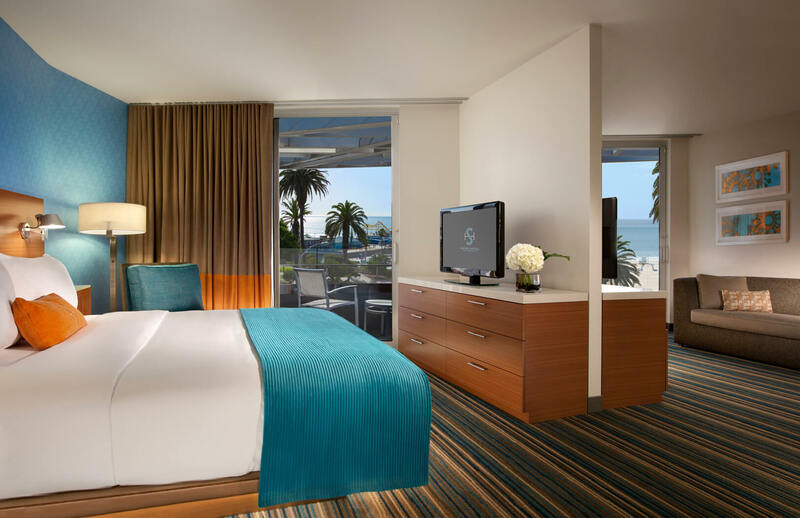 Featuring two cozy beds, a separate sitting area, and intimate balconies, these oversized queen junior rooms can accommodate up to five guests, making them ideal for family vacations to sunny Santa Monica Beach. 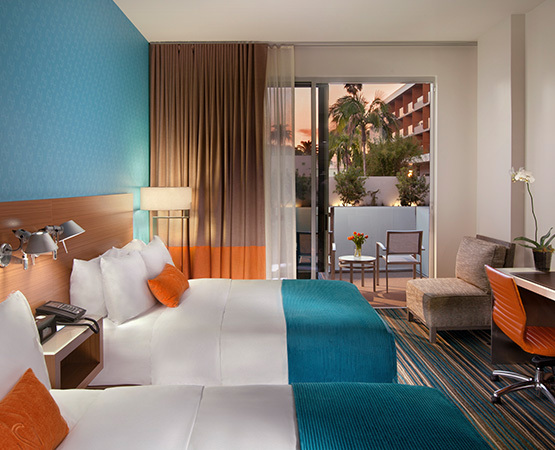 Great for family getaways to Santa Monica Beach, these oversized junior rooms include a cozy sitting area, colorful modern decor, and either private patio or intimate balcony. 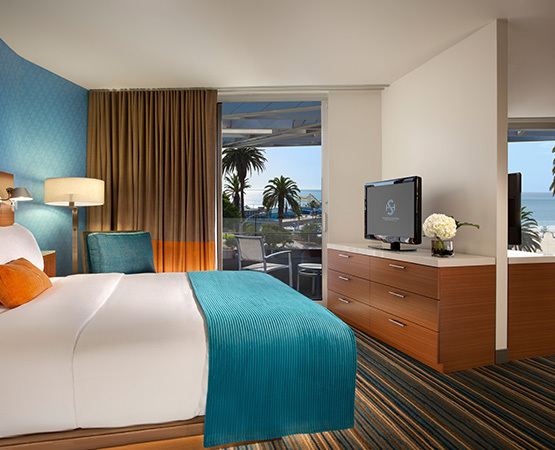 Located in the East Building, these partial ocean view rooms display modern decor and lovely views of the garden. 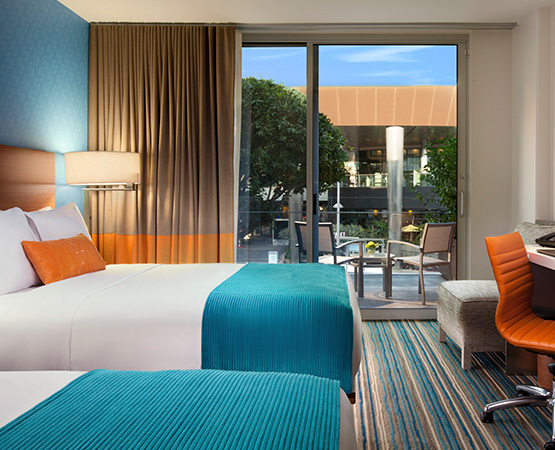 Located on the ground floor of the west building, these deluxe rooms feature large patio spaces and high ceilings, just steps from the solar-heated pool and outdoor atrium. Located in the East Building, these city view rooms offer spacious balconies overlooking Santa Monica’s lively 2nd Street shopping district. Located in the East Building, these garden view rooms provide a private balcony or patio space with spectacular views overlooking native plants and peaceful water features.